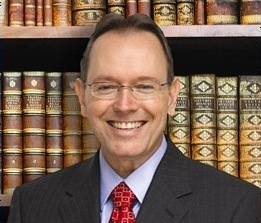 Randal L. Schecter | Ormond Beach, FL Elder Law Lawyer Randal L. Schecter, P.A. Contact Port Orange Wills & Trusts Attorney Randal L. Schecter, P.A. With more than 33 years in practice, Attorney Randal L. Schecter has extensive experience in asset protection, Medicaid planning, estate planning, powers of attorney, probate and Elder Law. Attorney Schecter has built a highly respected Elder Law firm serving the Central Florida area. A compassionate lawyer, Mr. Schecter is committed to delivering the highest quality legal and personal services to his clients and their families. Always responsive and attentive, Mr. Schecter helps sort through the confusing array of decisions encountered when families have to place their loved ones in long term care facilities. He understands that this is one of the most difficult and stressful times of their lives. Graduated from Florida State University College of Law and admitted to the Florida Bar in 1985. Obtained Bachelors Degree in Political Science in 1982 from Furman University in Greenville, South Carolina. Admitted to practice in all State courts of Florida and the Federal District Courts for the Middle District and Northern District of Florida.